espite a proclaimed respect for scientific reason, humans are still as intrigued by myth as their remote ancestors. Laptops and smartphones are sold under a logo that invokes the forbidden fruit of the Garden of Eden; skimpily clad classical nymphs cavort in TV reality shows; Narcissus makes a comeback whenever we snap a selfie. Mythical creatures such as handsome vampires abound in best-selling novels. Myth has also invaded the political realm, now that terrorists brandish black flags and recite theological mantras as they martyr themselves. 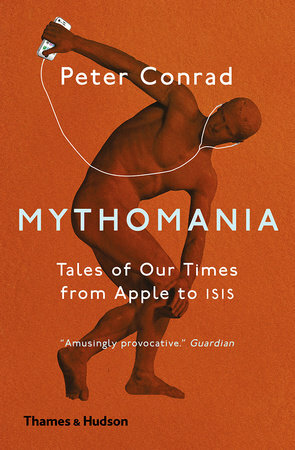 In twenty-seven self-contained entries, Peter Conrad illuminates in his own remarkable way subjects from the British Queen to the Kardashians, via Banksy, vaping, Trump’s penthouse, and the inception of the Large Hadron Collider. In Judge Judy, he shows a matronly Roman goddess dispensing justice with a fly swatter. In the metamorphosis of Caitlyn Jenner from Olympic athlete and paterfamilias into idealized female form, he finds parallels to the transformations of the residents of Mount Olympus. Myths used to tell us where we came from. Now, alarmed but also elated by the pace of change in our society, we need them to tell us where we are going.